Speeding is one of the most prevalent causes of traffic crashes at a severe cost. 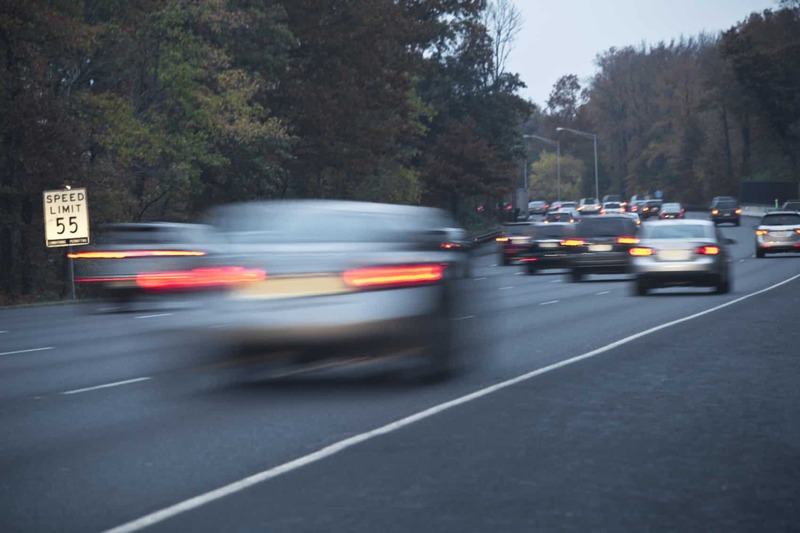 According to data gathered by the National Highway Traffic Safety Administration, an estimated 30% of all fatal crashes in 2012 were due to speeding. For 2012, 30% of all fatal crashes equals 10,219 lives were lost that year due to speeding-related crashes. Speeding-related fatalities have decreased over the past decade. According to data from the National Center for Statistics and Analysis, men ages 15-20 are involved in over 37% of all fatal crashes attributed to speeding. Men 21-24 also represented 37% of total fatal crashes. Alcohol use, when combined with speeding, can dramatically increase the possibility of accident and death. In 2012 over 42% of all speeding drivers had a blood alcohol concentration (BAC) of higher than the legal limit. Each state is different with how they punish drivers who are caught speeding. Most traffic violations including not using a turn signal or eluding a traffic light will get you a fine of $75. Speeding tickets are considered more dangerous. If you are caught driving 10 miles over the posted speed limit you can be fined $85, 11 miles or more over the speed limit costs a minimum of $195 with a $10 increase for each mile over. Auto insurance rate can increase if you plead guilty or are found guilty of a traffic violation. You can contact your insurance provider to see if there is anything you can do to lower it again. Speeding increases the driver’s inability to react or stop the car while driving. This can lead to causing an accident, injury, property damages and even fatalities. Drivers that end up causing an accident due to speeding will face even harsher sentencing because of their negligent actions. Be smart and do not risk your life and the lives of the people around you.